It was a good place worth of the money - quiet and clean with very friendly staff. The ladies could speak a little better english, but they always tried to make us happy. The beach was great, clean and spacious. The resort could try to provide better services for water sports such as snorkeling or stand-up paddling. Overall great place! Dear Khun kAMIL, Thank you for posting your comment on Agoda.com We were very happy to read your review and are glad that we could contribute to making your trip to Lanta Island a great experience. It is very pleasing to read that you enjoyed the service offered by our team member. Personalized service is of great importance to Lanta Resort, and we invest heavily in training to ensure every guest feels special. Thank you for taking the time to appreciate this service. Your feedback has been shared across the whole team, who are equally delighted to have received such positive comments. Thank you once again for choosing to stay with Lanta Resort. 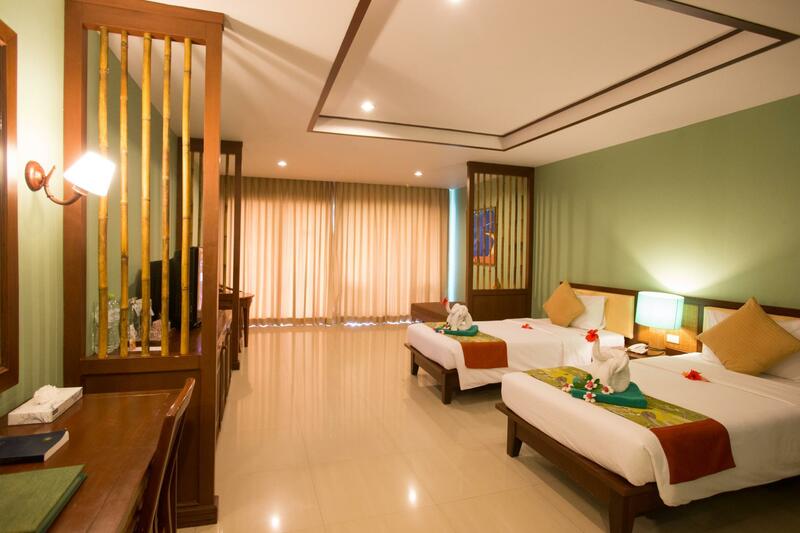 I personally look forward to an opportunity to welcome you back to Lanta Resort in the near future. Sincerely, Lanta Resort! Dear Our Happy Guest, Thank you for posting your comment on booking.com We were very happy to read your review and are glad that we could contribute to making your trip to the Lanta Island a great experience. It is very pleasing to read that you enjoyed the service offered by our team member. Personalized service is of great importance to Lanta Resort, and we invest heavily into training to ensure every guest feels special. Thank you for taking the time to appreciate this service. Your feedback has been shared across the whole team, who are equally delighted to have received such positive comments. Thank you once again for choosing to stay with Lanta Resort. 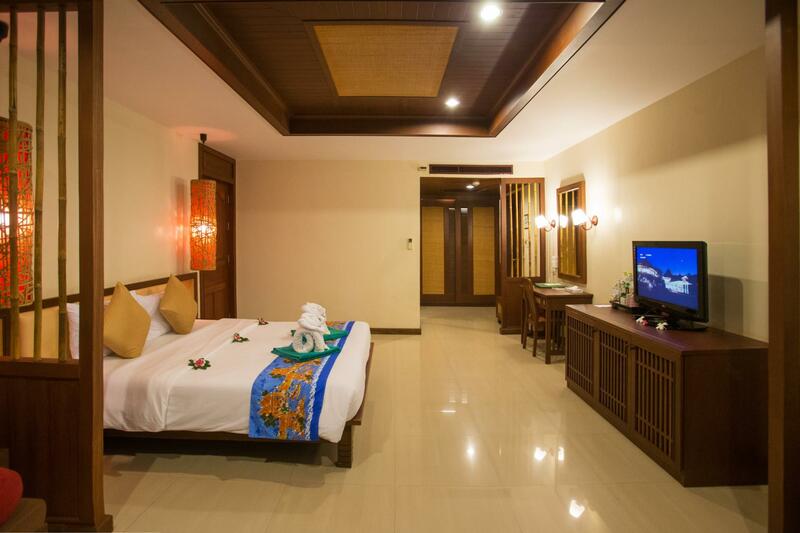 I personally look forward to an opportunity to welcome you back to Lanta Resort in the near future. Sincerely, Lanta Resort! Dear Khun Lukasz our Value Guest, Thank you very much for your constructive feedback. I am glad to hear that you enjoyed your experience at our Resort. Thank you for recognizing the team members from this department for their commitment to our high standards. I appreciate your comments regarding WI-fi, Air Condition and TV. I would like to reassure you we have investigated since receiving your feedback. We are confident this will help us to avoid the same incident from occurring in the future. Once again, thank you for taking the time to share your experience at Lanta Resort. I trust we will have the opportunity to welcome you back to our hotel in the near future. Sincerely, Lanta Resort! Big resort, big rooms and pool but not for singles, good for family with children. Dear Khun Harald our Happy Guest. Thank you for giving us a perfect rating and for recommending our hotel to other travelers. I’m sure our entire hotel staff enjoyed catering to your needs as much as you enjoyed your stay. I’m looking forward to having you again as a guest in our hotel. Thank you once again for choosing to stay with Lanta Resort. 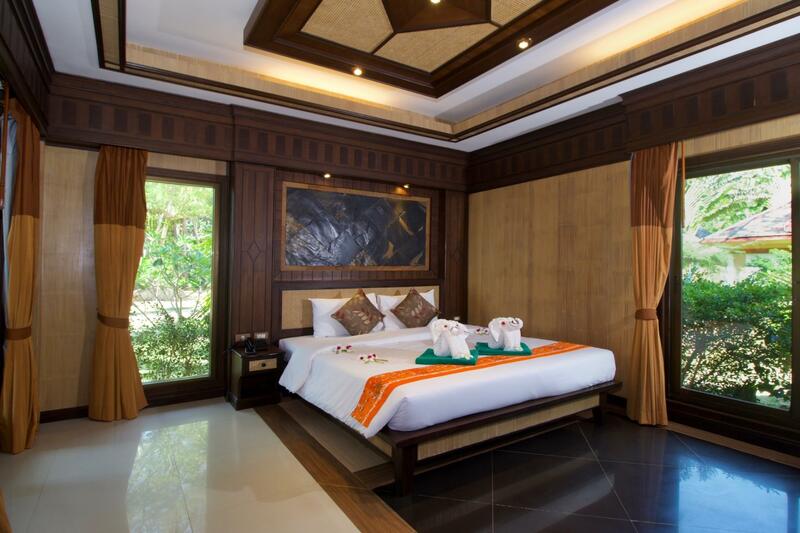 I personally look forward to an opportunity to welcome you back to Lanta Resort in the near future. Sincerely, Lanta Resort! This resort we booked just to have a confirmed room. It really ended up being too big with the beach quit a walk to the other side. No view from rooms. Rooms were good but not over the top. Pools were very nice but we were visiting for culture. We never went into the restaurant as it seemed way off the chart expensive. We moved after the first two nights to different resort which seemed to better fit our wants and needs. Dear Khun Stephanie, Thank you for posting your comment on Agoda.com We were very happy to read your review and are glad that we could contribute to making your trip to the Lanta Island a great experience. It is very pleasing to read that you enjoyed the service offered by our team member. Personalized service is of great importance to Lanta Resort, and we invest heavily into training to ensure every guest feels special. Thank you for taking the time to appreciate this service. Your feedback has been shared across the whole team, who are equally delighted to have received such positive comments. Thank you once again for choosing to stay with Lanta Resort. 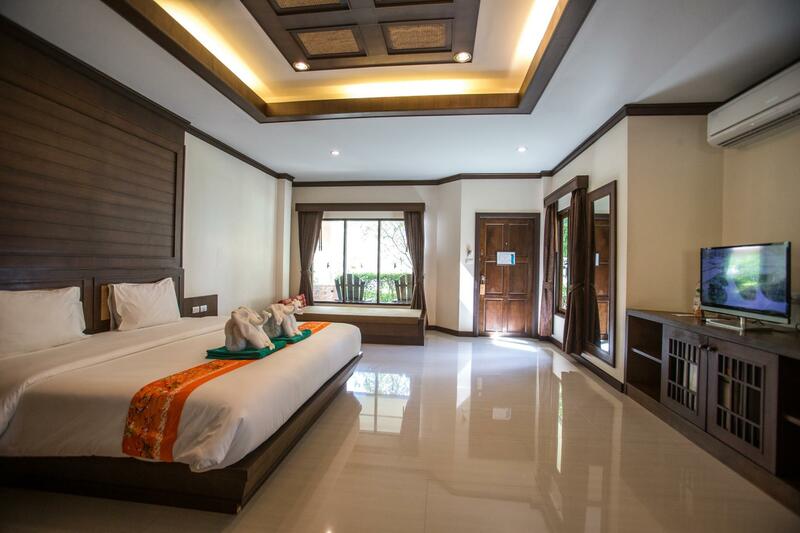 I personally look forward to an opportunity to welcome you back to Lanta Resort in the near future. Sincerely, Lanta Resort! Best location and hotel on Long Beach. Dear Happy Guest. Thank you for giving us a perfect rating and for recommending our hotel to other travelers. I’m sure our entire hotel staff enjoyed catering to your needs as much as you enjoyed your stay. I’m looking forward to having you again as a guest in our hotel. Thank you once again for choosing to stay with Lanta Resort. 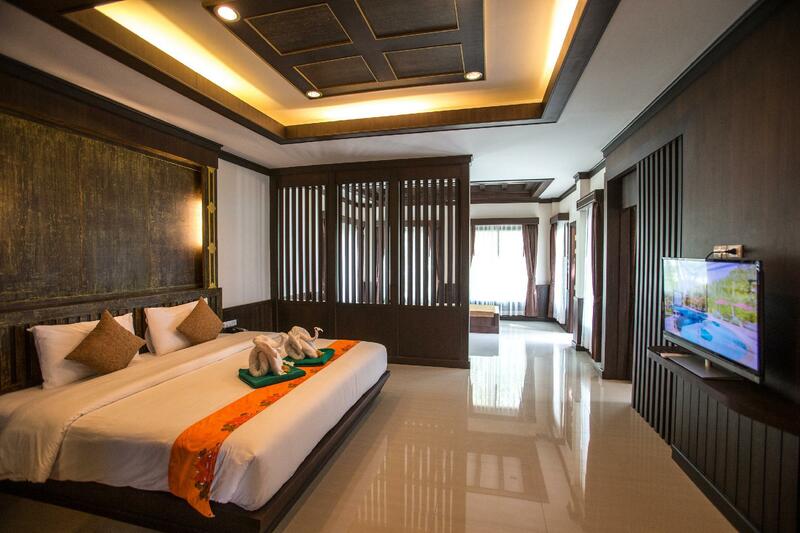 I personally look forward to an opportunity to welcome you back to Lanta Resort in the near future. Sincerely, Lanta Resort! Dear Khun David, Thank you for posting your comment on Agoda.com We were very happy to read your review and are glad that we could contribute to making your trip to the Lanta Island a great experience. It is very pleasing to read that you enjoyed the service offered by our team member. Personalized service is of great importance to Lanta Resort, and we invest heavily into training to ensure every guest feels special. Thank you for taking the time to appreciate this service. Your feedback has been shared across the whole team, who are equally delighted to have received such positive comments. Thank you once again for choosing to stay with Lanta Resort. I personally look forward to an opportunity to welcome you back to Lanta Resort in the near future. Sincerely, Lanta Resort! They are definately making the place better. The pools were so clean and warm. Staff, amazing, close to shops, however it was at the end of the beach. Some may like that. We had an issue with the water pressure and temp, but they were so great about making sure it was fixed! 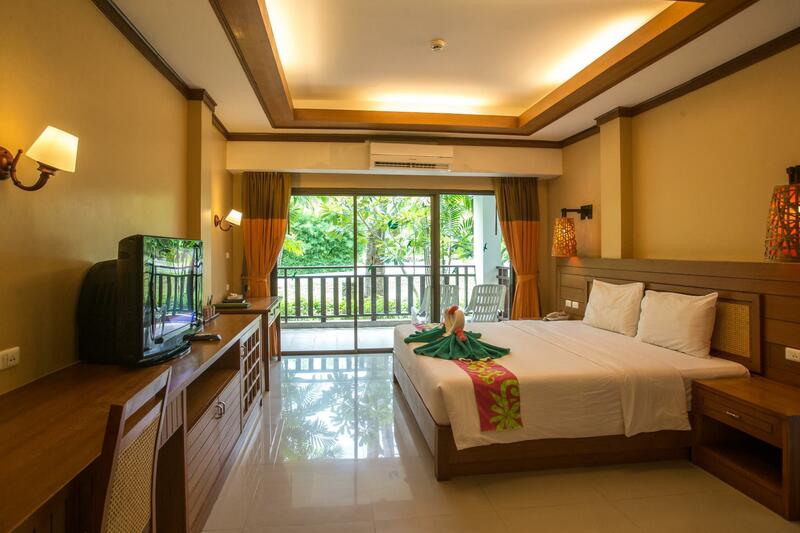 Thumbs up for Lanta Resort! Dear Khun shawn, Thank you for posting your comment on Agoda.com We were very happy to read your review, and are glad that we could contribute to making your trip to the Lanta Island a great experience. It is very pleasing to read that you enjoyed the service offered by our team member. Personalized service is of great importance to Lanta Resort, and we invest heavily into training to ensure every guest feels special.Thank you for taking the time to appreciate this service. Your feedback has been shared across the whole team, who are equally delighted to have received such positive comments. Thank you once again for choosing to stay with Lanta Resort. 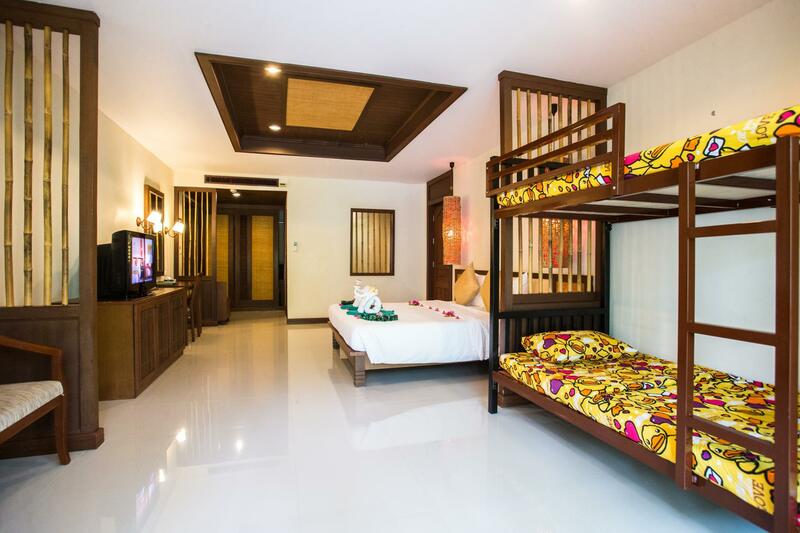 I personally look forward to an opportunity to welcome you back to Lanta Resort in the near future. Sincerely, The Lanta Resort Management Team! Because of low season, I practically had the resort all to myself (only 6 rooms in the entire resort were occupied). Almost like having your private pool and beach. The grounds are beautifully designed with trees and flowers everywhere. Reception organized tours and arranged a rental scooter bike, all very convenient. if you are planning to go to lanta to relax practise some water sports and enjoy a quiet beach the hotel is great even if it looks huge it is quiet. staff are very friendly and the location is walking distance to the beach!! it is a nice place to go with your couple and enjoy!! Nice resort with clean rooms. We found the poolwater a bit to warm and not so refreshing as it could have been, but a nice big pool, with good facilities around it. Some places the resort looked a bit worn down, but we would recommend it to friends and family. Dear Khun Morten our happy guest. Thank you for giving us a perfect rating and for recommending our hotel to other travelers. I’m sure our entire hotel staff enjoyed catering to your needs as much as you enjoyed your stay. I’m looking forward to having you again as a guest in our hotel. Thank you once again for choosing to stay with Lanta Resort. 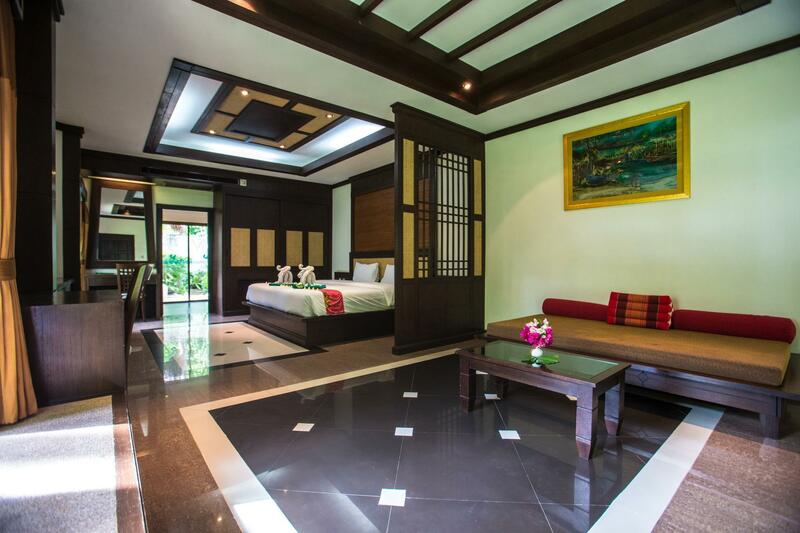 I personally look forward to an opportunity to welcome you back to Lanta Resort in the near future. Sincerely, Lanta Resort! Pros are good staff and clean. Cons are not enough sun loungers around the pool at all. And the umbrellas dangerous when the wind picks up, seen some heavy metal ones blowing away that could seriously have hurt a small child. They need to be secured properly. Resort is so big that the backside roads are virtually next to the main road rather than beach side. But nice enough resort. Dear Khun Dana our value guest, Thank you very much for your constructive feedback. We glad to hear that you enjoyed your experience at our Resort. Thank you for recognizing the team members from this department for their commitment to our high standards. We appreciate your comments regarding sun loungers and an umbrellas quality. We would like to reassure you we have investigated since receiving your feedback. We are confident this will help us to avoid the same incident from occurring in the future. Once again, thank you for taking the time to share your experience at Lanta Resort. We trust we will have the opportunity to welcome you back to our hotel in the near future. Sincerely, Lanta Resort! Next time better different resort, sorry. Dirty water in private pool with access from room, breakfast was like bad joke, long walk to beach, all looking like construction site, staff in beach restaurant taking care of their mobiles, but no customers etc. . Wake up if you don´t want loose customers. Dear Khun Rastislav , I would like to personally thank you for taking the time to review our hotel. I understand your disappointment with our service provided to you, and I appreciate your constructive feedback. We are grateful for all feedback, even if it is of a critical nature, as this is the only way we can truly assess our guests’ needs, and continuously improve the luxury service we aim to provide. I would like to apologize for what happened to you during your stay with us and as the management team will try the best to make sure this does not happen again. We hope that we can work together towards solving this issue, and restoring your confidence in our hotel. I do hope to have the opportunity to welcome you back to our hotel in the near future. Thank you for your comments and review as it helps me in upgrading services in the hotels and possible problems or situations which might arise to make sure these will not continue to apply to our great services. We stay in several places on Koh Lanta before but this choice was confusing. Beach is nice, but all hotel looks like need new management and recovery of facilities. And breakfast, one dissaster, poor choice and since second morning we better eat outside....we don´t recommend this hotel and will not stay here anymore. Dear Khun Rastislav, I would like to personally thank you for taking the time to review our hotel. I understand your disappointment with our service provided to you, and I appreciate your constructive feedback. We are grateful for all feedback, even if it is of a critical nature, as this is the only way we can truly assess our guests’ needs, and continuously improve the luxury service we aim to provide. I would like to apologize for what happened to you during your stay with us and as the management team will try the best to make sure this does not happen again. We hope that we can work together towards solving this issue, and restoring your confidence in our hotel. I do hope to have the opportunity to welcome you back to our hotel in the near future. Thank you for your comments and review as it helps me in upgrading services in the hotels and possible problems or situations which might arise to make sure these will not continue to apply to our great services. Dear Khun Harland, I would like to personally thank you for taking the time to review our hotel. I understand your disappointment with our service provided to you, and I appreciate your constructive feedback. We are grateful for all feedback, even if it is of a critical nature, as this is the only way we can truly assess our guests’ needs, and continuously improve the luxury service we aim to provide. I would like to apologize for what happened to you during your stay with us and as the management team will try the best to make sure this does not happen again. We hope that we can work together towards solving this issue, and restoring your confidence in our hotel. I do hope to have the opportunity to welcome you back to our hotel in the near future. Thank you for your comments and review as it helps me in upgrading services in the hotels and possible problems or situations which might arise to make sure these will not continue to apply to our great services. We booked a deluxe villa, not even breakfast is included. But it’s nice here, having your own whirlpool in the backyard. The pool is clean, but you don’t need that when you want to see the island. It’s clean, Personal is not so nice.